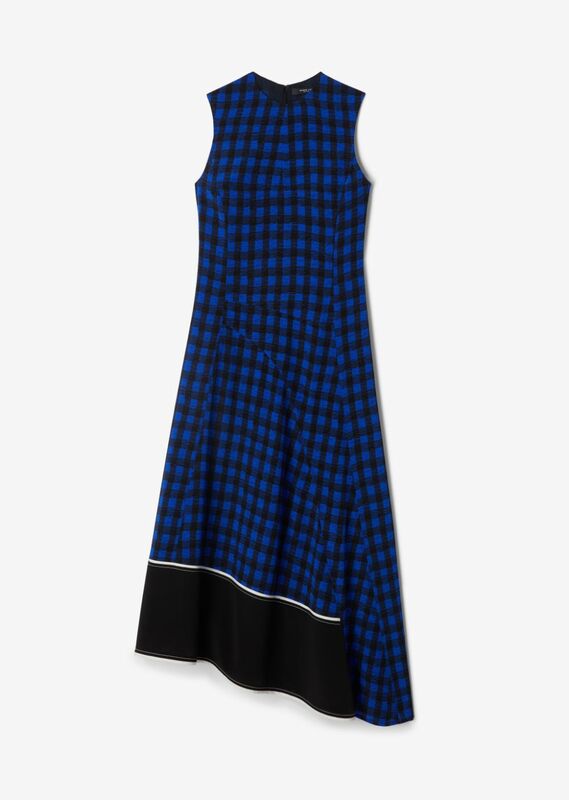 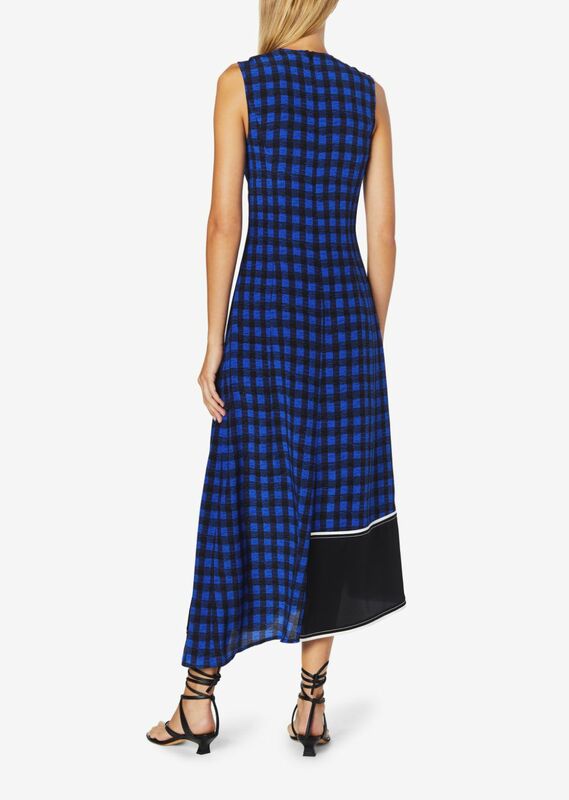 A tailored, yet fluid dress cut in a bold plaid silk print; this dress drapes lightly over the body and falls to an elegant asymmetric hem with a bold contrast band. 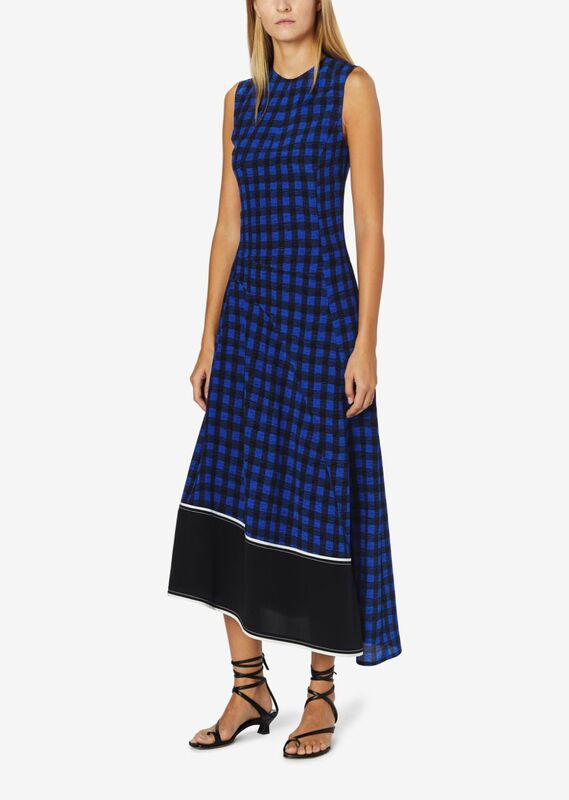 Topstitching throughout the dress highlights the structure of the design. 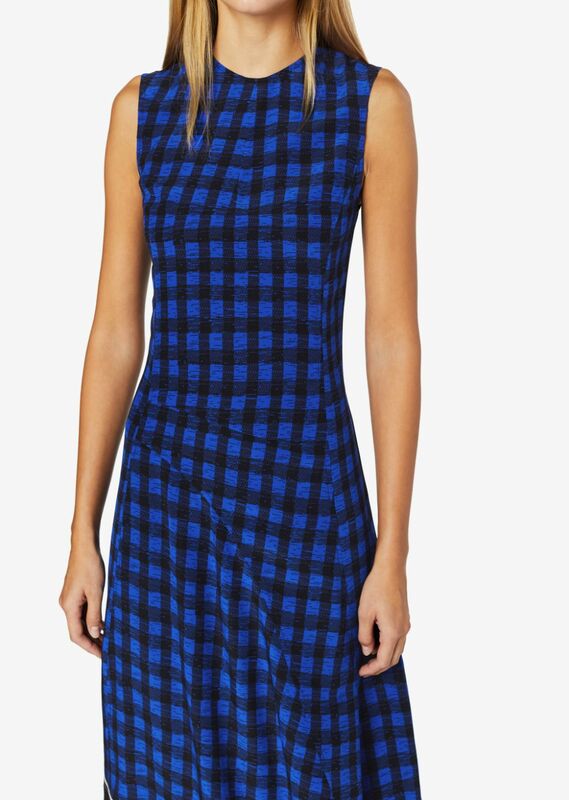 It has a crew neckline and concealed zipper closure at back.